order prints & PHOTO GIFTSpicture framingcameras & acc. Turn your photos into art! At F-STOP we can create custom wall art that's one-of-a-kind. 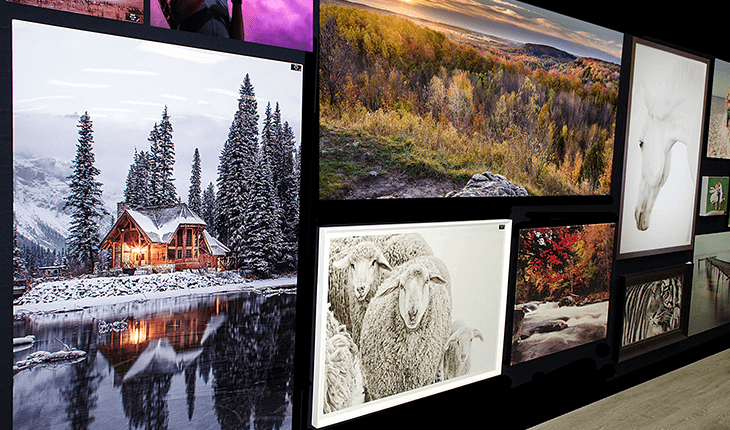 We can print large format prints on paper as well as canvas, aluminum and acrylic. No size is too large! We have a variety of paper choices and textures to choose from: Pearl Lustre, Smooth Cotton, Cold Press (watercolour), Metallic and Canvas Paper for a unique finish to your photo. Metal and acrylic prints offer modern frameless options that highlight the colours and vibrancy of photos. From cellphone or camera, our staff can transform your photos to art!